When first learning about Edward de Vere and his relationship to “Shakespeare,” I was startled to see a letter written by his wife Anne Cecil in December 1581. Oxford had flown into a rage in 1576 over court gossip that he was not the father of the baby girl (Elizabeth Vere) to whom she had given birth the previous year, when he was in Italy. Besieged by doubts, and furious that the scandal had become “the fable of the world,” as he wrote angrily to Ann’s father Lord Burghley, he separated from her and refused to acknowledge the child. 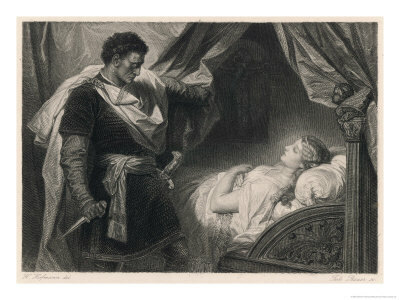 I believe we are listening to Oxford’s own grief over the wreckages of his past – another reason to believe he wrote Othello, which was printed for the first time in 1622, a year before publication of the First Folio of thirty-six plays. Hank, I just admire your work and insights so much! Thanks for the light you are shedding. Thanks very much, Bob — much appreciated, especially coming from you! I’ve recently wondered if, perhaps, young Anne Cecil had made known to her father that she loved his ward, Edward, leading to him (William Cecil) using his legal authority regarding the marriage-powers he had over De Vere to force Edward into marrying her . . . a daddy’s gift to his girl, if you will. If such was the case, then maybe Cecil never would have had Edward marry Anne otherwise. I suspect — but, of course, cannot prove — that Anne truly loved Edward prior to their marriage, and maybe even begged her father to marry her to the man of her dreams, a prince (otherwise) out of her star. 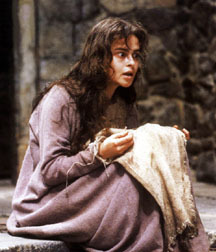 In ALL’S WELL, it is the girl Helena who pursues a marriage with Bertram, out of genuine love of the disdainful ward. I have a hard time believing that Anne’s father would have forced his daughter to marry Edward if she had not truly wanted to be Oxford’s wife in the first place. Sure, he was a calculating, scheming politician, but I just can’t see him forcing his daughter to marry a man she didn’t want. Cecil (probably) wanted the best for his daughter, and — like many fathers before him and since — was powerless to deny her most fervent wish. If, indeed, Anne truly was deeply in love with and devoted to Oxford, then his suspicions of her alleged infidelity, and the 5 years of estrangement that ensued, must have been sheer hell for her. And I can just imagine the proud Earl, in time, coming to realize just how horrible his treatment of her was, and — wracked with guilt over it — trying to find a way to castigate himself for it, especially after her untimely death. 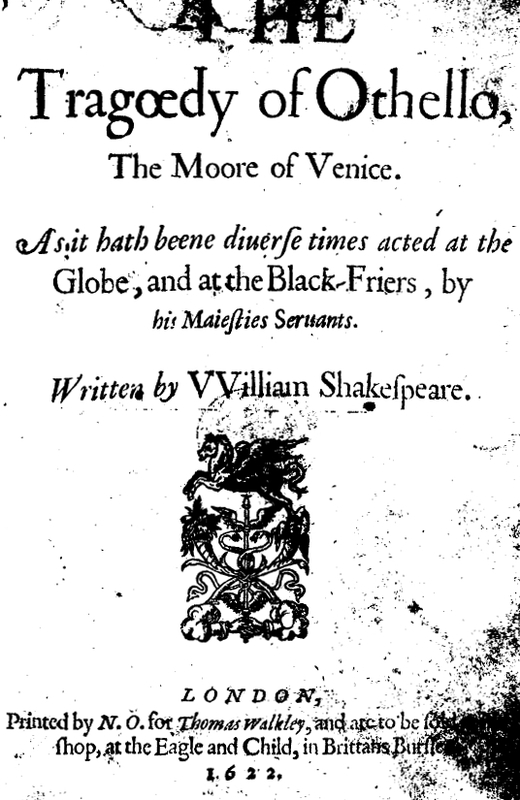 It is all-too-easy to believe that Oxford wrote the “Shakespeare” dramas. And, although his writing ability was greater than everyone else’s, it makes me rather dislike him — as a man — to a certain degree, at least insofar as his treatment of his Countess goes. And, I have no doubt, he would wish for posterity to judge him harshly for it. That’s why he would’ve written a play like OTHELLO in the first place! Not to have a “hit” play, but to shrive his guilty soul, to transform a tragedy of his own making into a revelatory work of dramatic art.